Wow. Just, wow. Children of Blood and Bone by Tomi Adeyemi is a fantastic piece of fiction. I was drawn into the narrative with the first words that my eyes took in; the story is instantly engaging and poetically written. The story unfolds at a masterful pace, Adeyemi brings the reader into the world of Orïsha both all at once and slowly, satisfying an unknown craving for more lore while dropping breadcrumbs along the way for more. I can see this book and subsequent series being adapted for film and being as impactful for this generation as Harry Potter was for mine. Orïsha is a kingdom without magic, but it wasn’t always that way. Before the “Raid” eleven years prior there were 10 clans that were gifted by the gods, each specializing in a different type of magic. But hatred, fear, and vengeance led King Saran to cleanse Orïsha of maji and eliminate magic. But it seems that the gods have something else in mind, and a small group led by Zélie Adebola has the chance to bring magic back. This book delves into the act of growing up and reconciling what one has been taught growing up with how they perceive the world. Faith and in believing in yourself. Power. How power corrupts. Important themes for YA (and arguably for everyone since as an adult these themes still resonate with me). 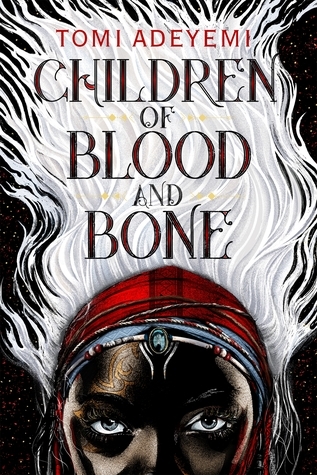 Children of Blood and Bone is a breakout start for a series that I cannot wait to devour with fervor. With excellent pacing throughout the entire book, lovable characters with immense depth, and writing that is so poetic it is tough to put down, I cannot recommend this book enough. ★★★★★ – definitely worth the hype! Thank you Netgalley and the publisher, Macmillan Children’s Publishing Group & Henry Holt and Co. (BYR), for granting my wish and providing me an ARC in exchange for an honest review. I look forward to reading subsequent books in the series! Children of Blood and Bone will be available on March 6, 2018. You can find information about my rating criteria here. I’m so excited to continue with the series! I wish it was all out right now so I could binge the whole thing. 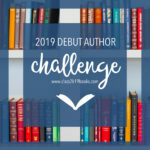 Your review totally has me itching to re-read Children of Blood and Bone already! I TOTALLY agree with you there, I simply did not want it to end and wish the trilogy were available in full for me to devour! Are you suffering from a bit of a hangover after reading? I tried to get into another fantasy series yesterday and found myself unable to do so. I love books that stay with you like this one does. It really is. I hope that if you read it you enjoy it as much as I did.